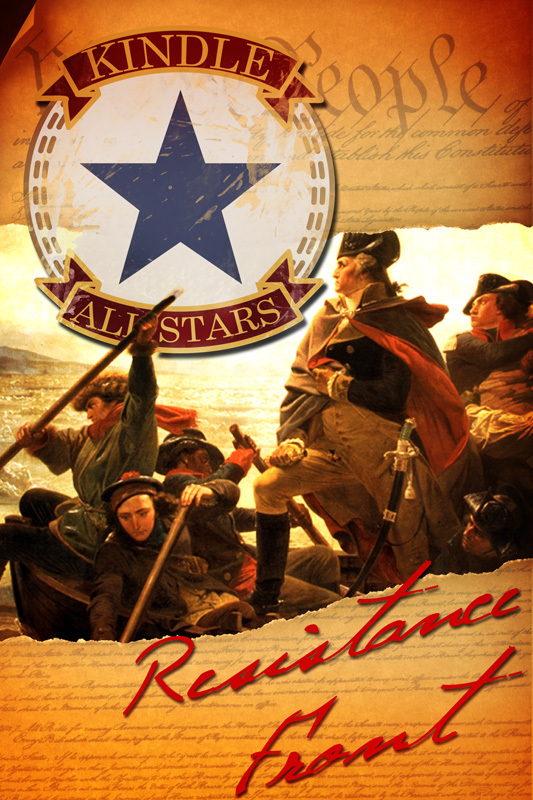 As the title of this blog post says, the cover art for the inaugural Kindle All Stars anthology, Resistance Front, has now been finalised, and I have to say it looks fantastic. Really smart. And it certainly captures the “revolutionary” vibe that Bernard has been aiming for in this most indie of indie publishing endeavours. Launch date is “soon” – as in this month – so I hope to be able to post something imminently to say just how amazing it all is and how you should definitely buy a copy (not least because all profits go to the National Center For Missing And Exploited Children). In the meantime, why not visit Fringe Scientist to read interviews with the contributing authors, or join the Kindle All-Stars Facebook Group, or follow us all on Twitter?